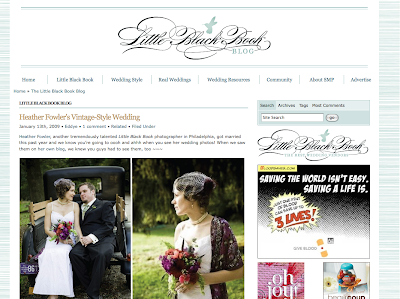 Recently the popular wedding blog Style Me Pretty approached me to design an identity for their "Little Black Book" and accompanying header for "Little Black Book Blog". Since both are sub-brands of SMP, I felt that the design had to be brand-centric: something elegant, sophisticated with a slight "edge". It was important that the Little Black Book could live as a stand-alone brand, but still maintain some connection to the main SMP brand. I'm so excited they launched both, ta-da!